A look at one of my favourite herbs: Melissa off. Here’s an insight into one of my favorite herbs: Melissa officinalis, or Lemon Balm. It’s easy to grow and easy to use, tastes great and is really effective! As a powerful anti-viral it is also a great herb for winter colds and flu’s. Native to southern Europe, lemon balm is a bushy perennial that can grow to two or three feet tall. Like other members of the mint family, it has square stems and opposite, branching leaves. The flowers, which appear in summer are small, inconspicuous, yellow to pinkish-white, and have the “lipped” look typical of the mint family. Unlike many members of the mint family, the plant’s roots are not invasive. The leaves smell like lemon (Citrus limon, Rutaceae) when bruised or crushed, hence the plant’s common name. When fresh, they may be used in drinks and added to salads, soups, sauces, and vegetables. When dried, they may be used to flavor teas and added to sachets and potpourris. 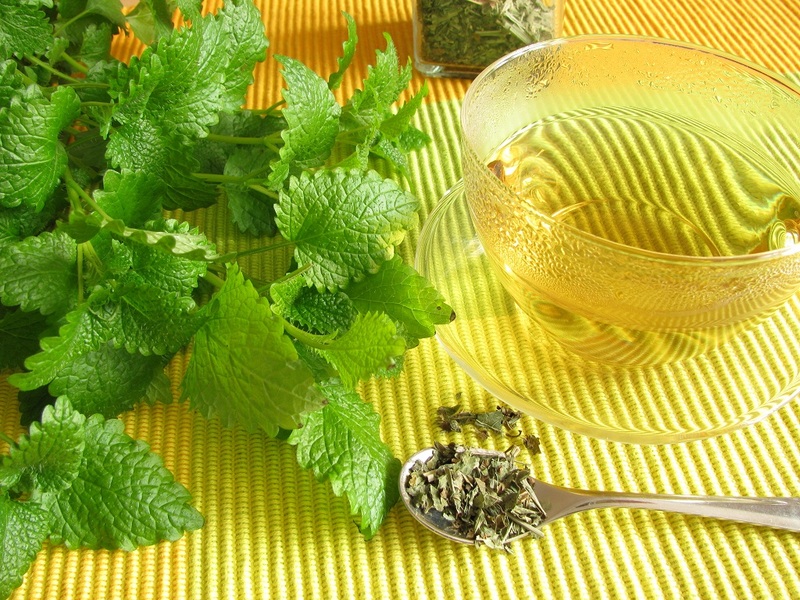 Lemon balm reportedly is one of the few sour-tasting mints. In his Historia Plantarum, the Greek philosopher and botanist Theophrastus of Eresus (372-287 BCE) provided one of the first known descriptions of the plant. It is thought that the idea of “Carmelite Water,” or Eau de Carmélite, an alcoholic extract of lemon balm and other herbs, originated in about 1200 CE when Christian hermits living in caves on Mount Carmel in present-day Israel realized the benefits of lemon balm. It is also widely believed that the “balm” of Homer’s Odyssey and Shakespeare’s Merry Wives of Windsor refers to lemon balm. In addition, Thomas Jefferson reportedly cultivated the species at Monticello. Traditionally, lemon balm has been used to calm nervous disorders, alleviate insect bites, increase perspiration, and treat colds, gastrointestinal and sleep disorders (including insomnia), and fevers. Preparations of the plant have demonstrated antimicrobial, antioxidant, antispasmodic, antiviral, bacteriostatic, neuroprotective, pain-relieving, and sedative effects. The plant contains phenolic acids (primarily rosmarinic acid), flavonoids, and essential oil (with citronellal, neral, and geranial as the predominant compounds). I use this herb often as a tincture or a tea for viral infections, and as a sedating nervous system herb, great for insomnia, depression, anxiety, etc. I hope you’ve enjoyed this insight into Melissa! I first came to see Tammi a few years ago for a hip problem that was the result of a skiing injury that had occurred in 2004. She came highly recommended by my Osteopath who suggested I try Pilates to strengthen my core. After only a few sessions with Tammi, the pain I had experienced, along with mobility issues began to dissipate and my condition has steadily improved and I am happy to say I have not had any problems in over two years now.